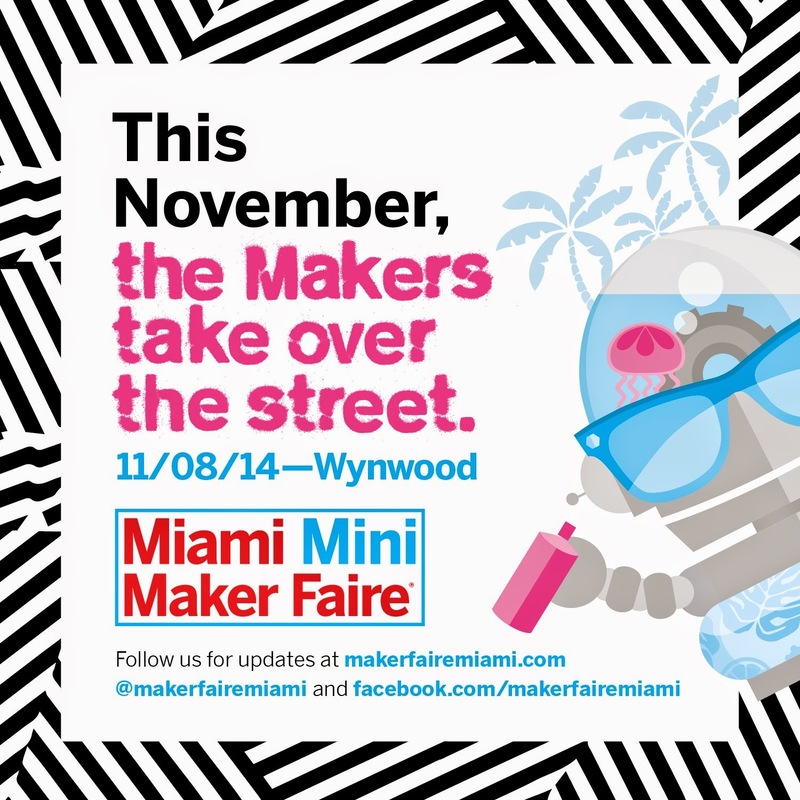 The Miami Mini Make Faire is a celebration of all things hand-made, returns to Wynwood on Saturday, Nov.8, 2014 from 10am-6pm. This is the fair’s second year, organizers say they are expecting at least 2,500 visitors and more than 90 exhibitors at this all-day, family-friendly event that will be held at The LAB Miami and LightBox, as well as on the street with a "block-party" feel. This year, along with the two indoor venues, organizers are closing off NW 26th Street between 3rd and 5th Avenues for a full-on arts and crafts street festival. The Miami Mini Maker Faire will boast over 80 interactive exhibits. From 3D printing, fashion design, doodling, to product innovation, there’s always something to learn about and make! The Miami Mini Maker Faire is an all-ages gathering of tech enthusiasts, artisans, inventors, tinkerers, entrepreneurs and educators who get together to show what they make and share what they have learned. The faire features both established and emerging local “makers” specializing in robotics, hardware hacking, 3D printing, art and crafts, urban farming and sustainability and much more. 400 NW 26th Street in Miami, FL 33127. 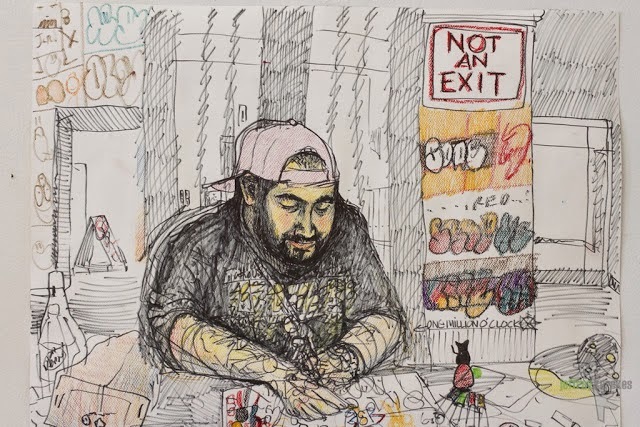 Rising art star Vito Bonanno is a nationally recognized artist with autism spreading the word through his art that autism is a creative and magical gift. 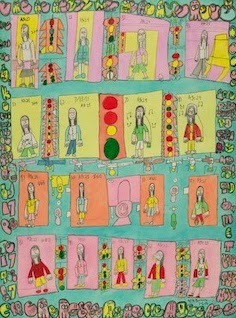 Bonanno is best known for his unique storyboard, grid-like artwork filled with colorful characters, objects and ideas that act and interact in striking ways. He is considered an outsider artist whose work is highly coveted by collectors and art aficionados worldwide. His style is edgy with a graffiti-esque, urban vibe. Bonanno's art has been exhibited in countless art exhibitions and shows, and he has participated in a myriad of art competitions and contests. Bonanno was diagnosed with PDD/Autism just before his 4th birthday. Language delayed, his parents and teachers developed strategies that tapped into his high visual acuity, utilizing storyboard styles to relay academic and social information to Vito. He was also encouraged to draw in storyboard format to express his feelings. The storyboard grid remains prominent in his work today and is a poignant reminder of a boy who was trapped in his mind, but through the tireless work of professionals and undaunting support of his family, has been given the opportunity to develop into a highly functioning, young man who has learned to take the information trapped in his head and transform it into art that contains the essence of his life, feelings, thoughts and dreams. "Vito Bonanno’s art contains the essence of his life, feelings, thoughts and dreams, coupled around objects or topics that 'get stuck in his head', including traffic lights, grids, ceiling fans and graffiti. His work is image and concept driven and may incorporate any media which will fuel this expression. Using spray paints, gouache, India inks, oils, acrylics and so on, he works on paper, canvas, or whatever support may suit. Most of the characters or topics he draws are important to his life and embedded in his personal philosophy. His work has been described as raw, unfiltered, unedited, truthful, comedic, irresistible, bold, playful and charming, much like the man himself. He has found a way to tap into the intensity of focus and insight afforded him through Autism Spectrum Disorder to unleash a formidable creative power and vision." - Elizabeth Peterson, Director of Akus Gallery at Eastern Connecticut State University. Miami-based urban art star David Anasagasti, known better by his street art name Ahol Sniffs Glue, is suing American Eagle Outfitters alleging that the teen apparel brand used his work in a global advertising campaign without permission. Anasagasti filed a lawsuit last week in the United States District Court, Southern District of New York accusing the retailer of stealing two copyrighted images depicting his signature art – rows and rows of droopy eyes that appear half asleep. The South Florida native is among the most well known of the local street artists for his soaring urban murals with expansive fields of drowsy eyes, which can be found adorning numerous walls and hotspots throughout Wynwood and the rest of Miami. The beloved Miami-based street artist has a raw yet instantly recognizable style. His work involves disparate themes from mass media, popular culture and marginalized pockets of society. 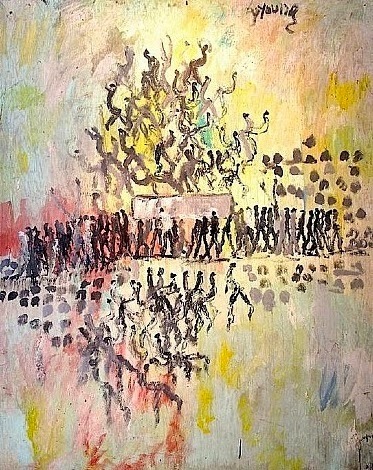 From a young age he started on a path toward art-world notoriety with persistent sketches in his notebooks. “I did these whole civilizations of characters,” he says. “One day, I just decided to take their eyes and make a pattern out of it.” Drawing inspiration from the urban environment and systems of society which dehumanize its inhabitants, his deceptively simple, yet complex renderings portray the veneer of our everyday surroundings and the dull, job-related conflicts often encountered in a dysfunctional workplace. The lawsuit said, “Given that he hails from the counter-culture world of underground street artists, Mr. Anasagasti’s reputation as an artist has been founded, in part, on a public perception that (he) doesn’t ‘sell out’ to large corporate interests.” Even though Anasagasti registered the copyrights after American Eagle launched their advertising campaign, he is suing for unspecified damages, as well as profits from the infringement. Join us for an evening of art and culture with artist Isolda Mora Noli at her gallery in Boca Raton on Thursday, July 24th from 5-9pm. The artist is showcasing her newest works of art while entertaining collectors and guests in her beautiful space by Mizner Park - located at 144 South Federal Highway in Boca Raton, Florida 33432. Enjoy an evening of art, cocktails and hor d'oeuvres with the artist in her gallery and outdoor courtyard while enjoying music, creative people and great atmosphere. Isolda Mora Noli is an international artist whose father is the famous sculptor, architect and art professor, Jose Guillermo Mora Noli (1923-1981). He is the founder of the school of Cylindrical Constructivism, known as 'Cylindrismo', and is known as the father of modern Panamanian sculpture. Isolda has continued her father's legacy, her work is held in private collections all over the world. Her paintings are influenced by two main things, Cilindrismo and Nature, she focuses on raw form and natural design. Isolda's work is published in high profile art and design magazines from New York, Palm Beach to London. The artist will be opening another location in the coming months, so stay tuned for more information about her new gallery space. Isolda's art event is being held to showcase her newest collection of paintings, with a portion of the proceeds benefiting a local charity. Gallery Talk and Closing Reception at Artopia Art Center in Miami for Remembrance To Pervis Young Tribute on May 30, 2014 from 7-10pm. Join us for a Closing Reception on Friday, May 30th at Artopia Art Center that honored Pervis Young with a tribute event on April 25th coinciding with the 4 year anniversary of the artist’s passing. Artopia served as the studio for Pervis Young. Young was one of the most prolific artists of our time, he was the catalyst of Miami’s art scene paving the way for Miami to become one of the world’s greatest art cities. 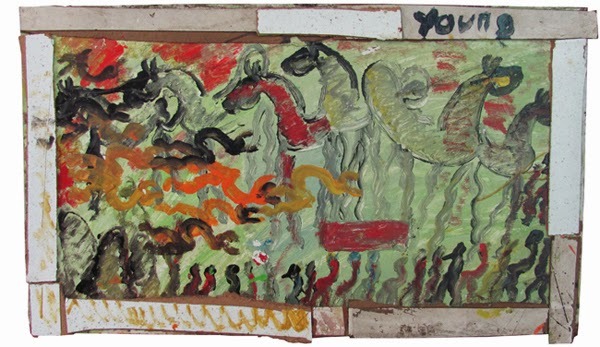 Young's work was often a blend of collage, constructed materials and painting, utilizing found objects and discarded materials to create his masterpieces. 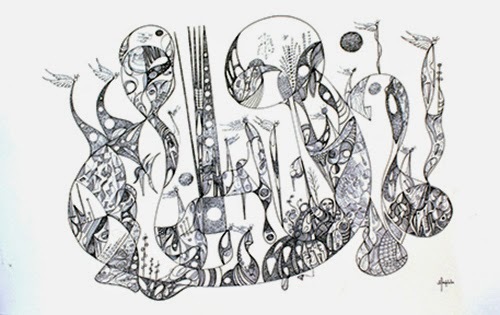 A self-taught artist, Young gained recognition quickly with a collectors' following. The Remembrance to Pervis Young exhibit was on display at Artopia Art Center from April 25 to May 30, 2014. It kicked-off with a spectacular opening reception, Young's family attended the event and a tribute was created highlighting Young’s career, which spanned more than four decades. The closing reception will include light refreshments and a gallery talk with the resident artists of Artopia who knew Young and were inspired by him. Read the write up that was featured in the Miami Herald about the April 25th opening event. 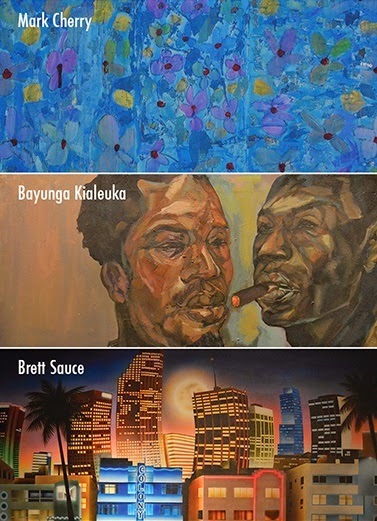 Also view the work of Artopia’s well-known resident artists Joe Chirichigno, Bayunga Kialeuka, Brett Sauce, Isolda Mora Noli and Mark Cherry, with a special exhibit by Artopia’s rising art star Masplata. Guests will enjoy mingling and talking with the artists while having an opportunity to view the most sought after works by Pervis Young. The gallery offers an affordable selection of artwork for sale by a wide range of artists and a variety of styles. The Collection at the gallery is comprised of artwork by an array of artists from the US, Latin America, Cuban masters to contemporary emerging painters and sculptors. Artopia has forged a new framework for understanding the momentous changes in Miami's cultural life over the years. The gallery promotes cultural development in the art community by supporting innovative visual art projects and cultivating the early careers of many emerging artists, bringing them to the forefront of the art world. Artopia sadly lost another well-known and beloved resident artist during the course of the Remembrance Tribute to Young. 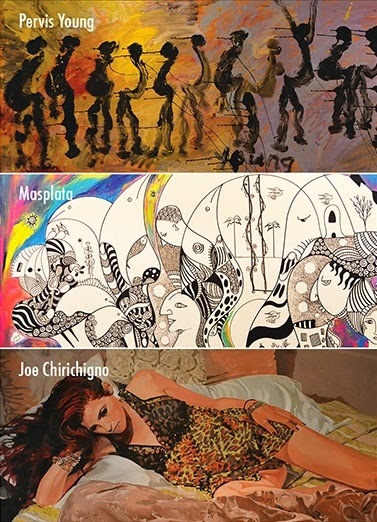 Artopia’s resident artist Justine Alexander died unexpectedly last week, she was an internationally recognized artist. The gallery will pay its respects with a memorial for Alexander at the closing reception on May 30, 2014. 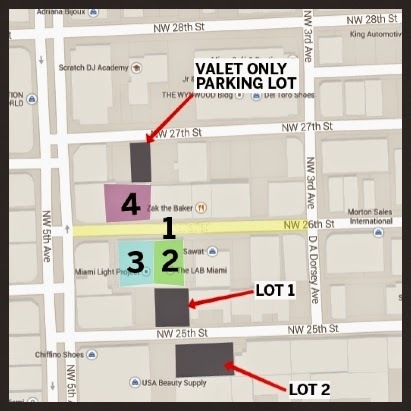 Artopia Art Center is located at 1753 NE 2nd Avenue in Miami, Florida 33132. The gallery is nestled in the heart of Miami’s famed Wynwood Arts District. Artopia’s staff of industry experts have extensive knowledge and experience of art and are available to visitors and collectors during gallery hours, Tuesday thru Saturday 12pm - 7pm. 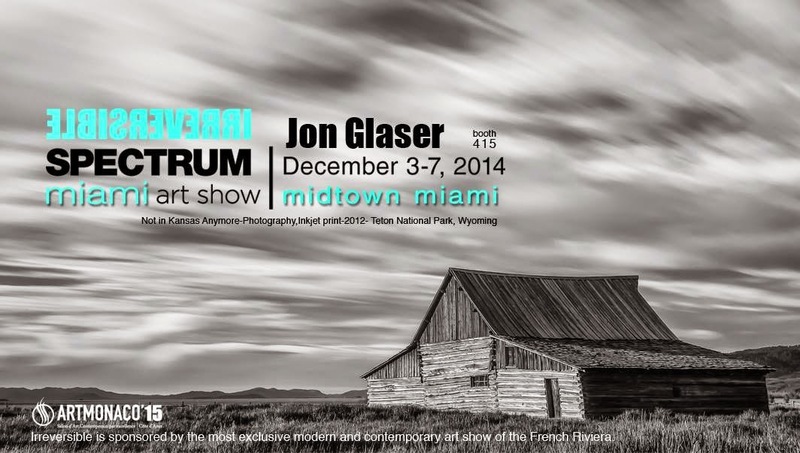 Contact the gallery at (305) 374-8882 or online at Artopia Art Center. 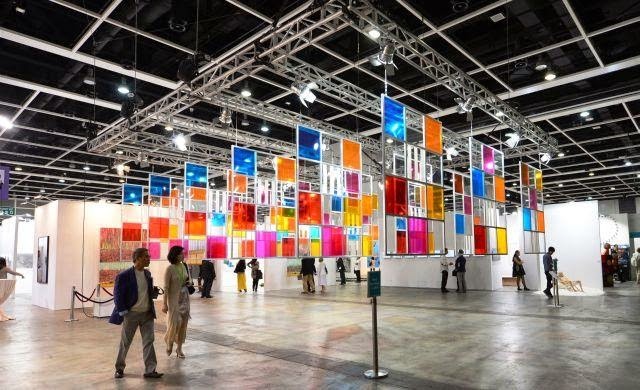 Billionaires flock to Hong Kong for the hottest artworks by emerging artists at Art Basel Hong Kong. Inside Art Basel Hong Kong at the city's convention center there's a booth where guests can apply for instant citizenship to the Republic of Jing Bang. 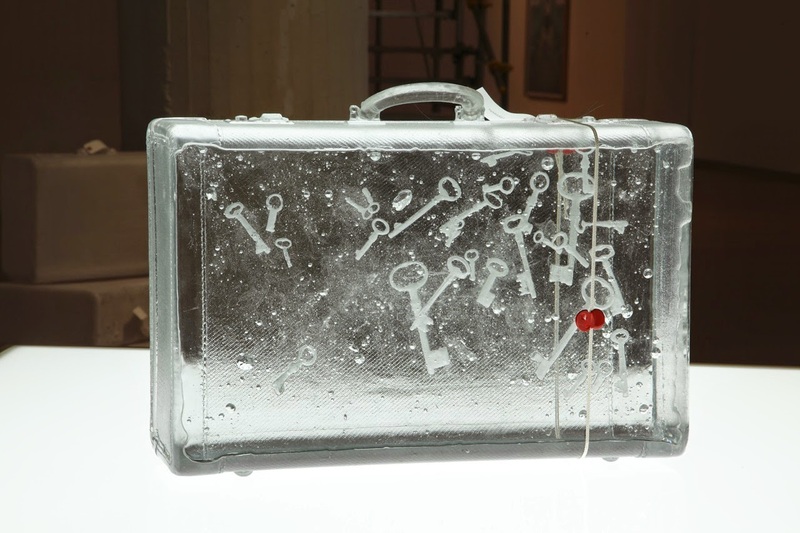 For $10,000 you can obtain a passport, an aluminum "Citizenship Box" briefcase and national flag from Jing Bang, an ephemeral state created for the fair by Chinese artist Sun Xun, whose installation is a satirical comment on art, commerce and nationhood. The art world elite, including billionaire Indonesian collector Budi Tek, New World Group scion Adrian Cheng and Canyon Capital Advisors co-chairman Mitchell Julis, won't need any fictional travel documents to converge on Hong Kong, where more than $1 billion worth of art is for sale, according to fair insurer AXA ART. Wealthy collectors can snap up a $10,000 painting by emerging Chinese artist Yuan Yuan or pay $75,500 for a fish in formaldehyde work by Damien Hirst. 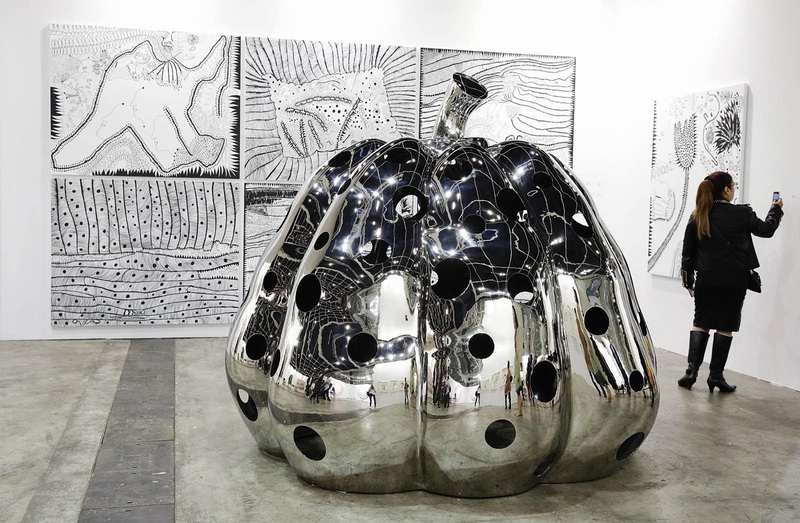 Anchoring what is informally known as Hong Kong art week, Art Basel opened to the public on Thursday. VIPs got a chance to preview the 245 galleries from 39 countries exhibiting on Wednesday, featuring primarily contemporary art. 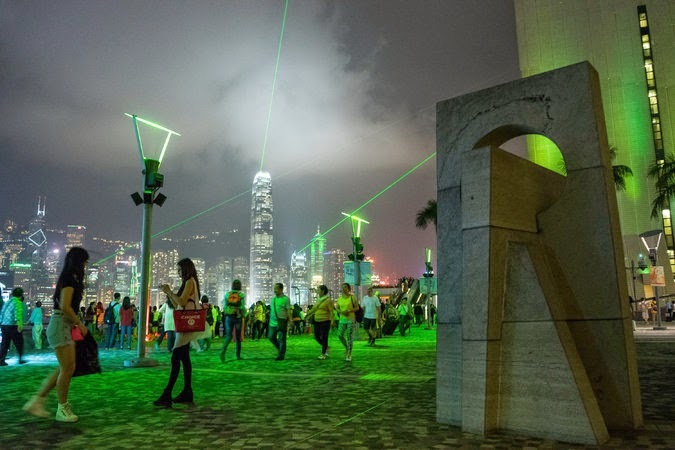 Every year in the Spring Hong Kong's social life begins to take off with a whirlwind of more than 25 gallery openings, charity art auctions, debates and sophisticated parties held on rooftops, chic poolsides and parking garages. "It's like the Rugby Sevens for the Hong Kong arts and cultural set," says Alice Mong, executive director of Asia Society Hong Kong, which hosted a gala dinner for 400 people on Monday night honoring Asian artists Zhang Xiaogang, Bharti Kher, Takashi Murakami and Liu Guosong. 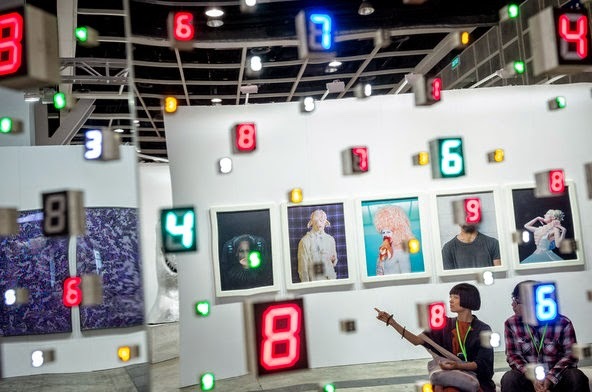 Launched as Art HK in 2008, the fair was re-branded Art Basel Hong Kong last year after the owners of Art Basel and Art Basel Miami Beach purchased a majority stake in 2012 and it is now a major stop on the international art circuit. About half the exhibitors have space in Asia and the Asia-Pacific, a intentional decision to keep the fair's original regional flavor. Collectors on more modest budgets can head over to the Conrad Hotel for the Asia Contemporary Art Show where five floors of guest rooms are transformed into temporary gallery spaces featuring emerging artists from 18 countries from May 16 to 18. Blindspot Gallery, located in the burgeoning art district of Wong Chuk Hang overlooking the city's Aberdeen harbor, is showing London-based photographer Nadav Kander's latest works that feature nudes of sitters covered in marble dust that evoke Michelangelo and Lucien Freud. Pace Gallery opens its Hong Kong space with oil-on-paper works by Zhang Xiaogang in the heart of downtown on the 15th floor of the Entertainment Building. Next door Antwerp, Belgium-based Axel Vervoordt Gallery is also having its inaugural show with Ghanian artist El Anatsui, who employs youths to weave work with discarded liquor caps and fastenings to create tapestries selling for $1 million a piece. We invite you to become part of a cultural awareness campaign featuring renowned artist Vito Bonanno, an artist with Autism who is spreading the word through his work that Autism is a magical gift of secret resources of creativity and inspiration. The event is called TRUCK'N WITH VITO! and is launching on Saturday, May 24th at the exclusive Umbrella Arts Gallery in New York's East Village, located at 317 East 9th Street. The gallery is known for its rare shows of extreme talent and is bringing Bonanno's art showcase and cultural awareness project into the limelight. Umbrella Arts is a place of discovery, movement and change and they are committed to keeping the artistic spirit alive in the community. The exhibition will kick-off on May 24th at Umbrella Arts Gallery and Bonanno's mobile project TRUCK'N WITH VITO! will travel on wheels to be seen all over Manhattan and Brooklyn at Bushwick Open Studios, The Howl Festival, The Dumbo Arts Festival and in New York's East Village. 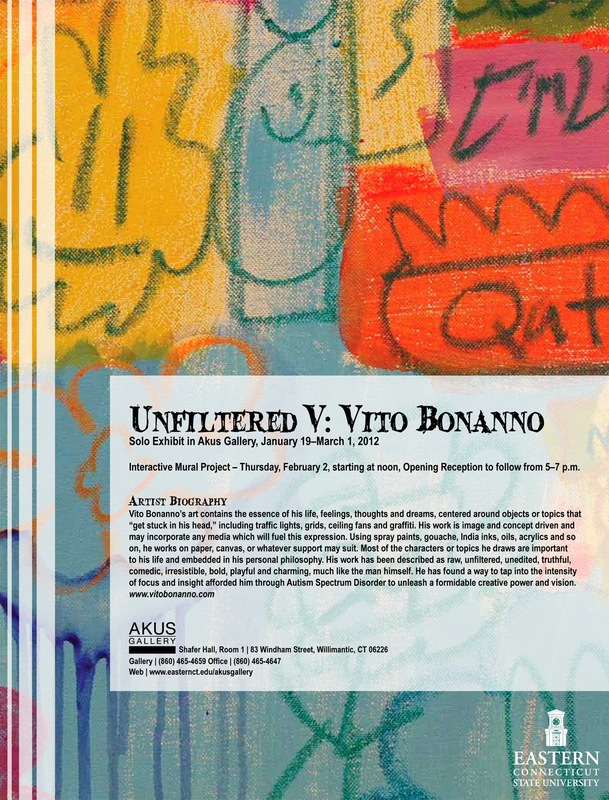 The exhibition is taking place from May 24th through July 31, 2014 - the opening reception at Umbrella Arts on May 24th will showcase small, intimate paintings that Vito Bonanno made on the road and in his New Haven, Connecticut art studio. View the fundraising campaign here: https://www.indiegogo.com/projects/truck-n-with-vito - we invite the public to join the movement and help to continue TRUCK'N WITH VITO! going and spreading the word about Autism and artistic talent. 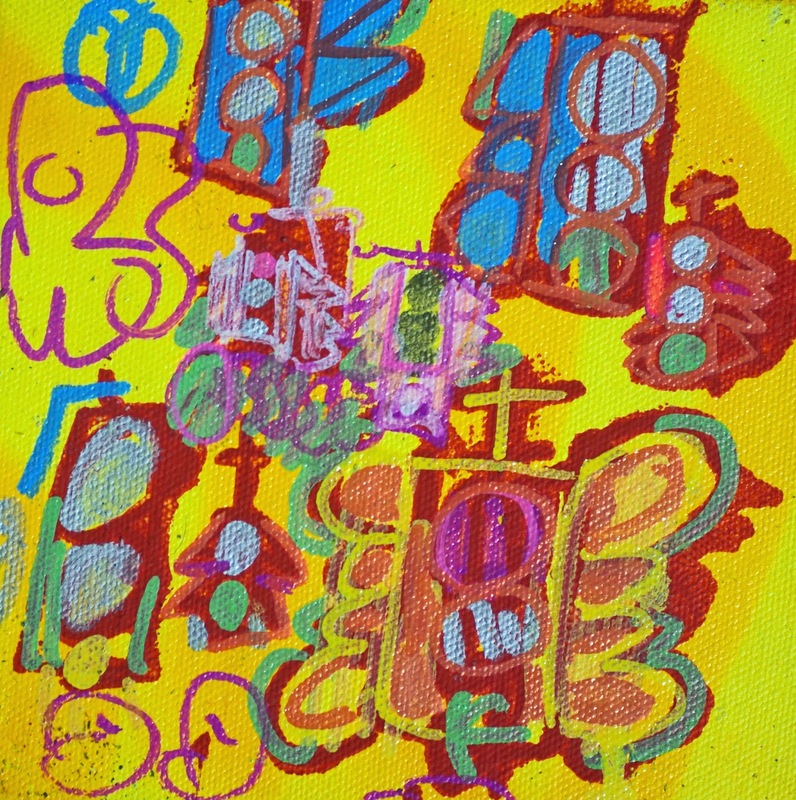 Vito Bonanno is known for his innovative style of street art merged with images that are inspired by his Autism. Since 2010, the artist has exhibited widely throughout New York, Connecticut, Chicago, Miami and the Hamptons. His work has received huge public recognition and he is the recipient of numerous awards and honors given by creative institutions throughout the Northeast. Bonanno is a role model for other artists with Autism who see the world in a unique and often unfiltered way, and who want to share their vision with us. During this traveling exhibition, the Artmobile will make stops at Fountain Gallery, LAND Gallery, the Bushwick Open Studios, and the HOWL Festival in Tompkins Square Park. Additional stops in the Summer of 2014 include the SoNo Arts Festival in Norwalk, CT. In the Fall, Bonanno will visit the DUMBO Arts Festival, the IAM Festival, OpSail, Envision Fest, LAMP, the SOFA Fair, and The Wynwood Arts District where he will be joining us during Art Basel Miami Beach this December, as well as METRO Curates in January 2015. TRUCK'N WITH VITO! is a beacon of light and inspiration to those on and off the spectrum and will promote the potential of the untapped creative and productive lives that might never have had a chance to be realized unless the public, business community and our society leaders change the way they perceive these artists as cultural contributors and advocate for accessible resources in the local governments and beyond. The LAB Miami is a campus for creative entrepreneurs. The LAB's collaborative work and event space consists of a converted 10,000 sq.ft. warehouse in the Wynwood Arts District known as a collision point for Miami's forward-thinking minds. 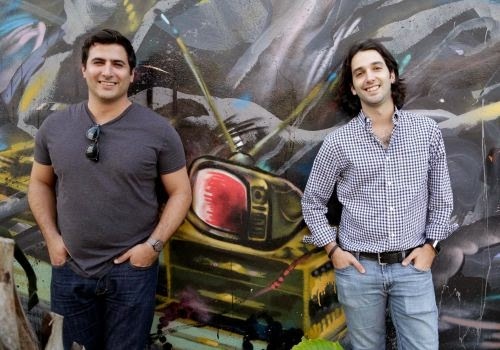 Miami Art Scene™ wishes the dynamic duo Wifi and Danny the best of luck, we know for certain that The LAB will continue forging ahead with amazing creative, tech and entrepreneurial events and projects. "This shouldn't be a sad moment, but an exciting one to challenge a new leader in the community to lead the next iteration of the space in Wynwood. It's a LAB. It's an experiment in its own right and a place for others to experiment with new ideas," said Wilfredo 'Wifi'. "Danny and I are also excited to get more hands on with our youth tech programs and maker education through MIAMade, Mini Maker Faire, Wynwood Maker Camp, etc." 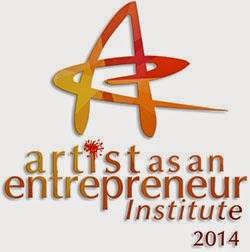 Miami Art Scene™ is proud to be instructing the Branding & Marketing Module during the Business Clinic & Workshop on June 28, 2o14 at the Artist as an Entrepreneur Institute (AEI) 2o14 for another year in a row. This is a highly acclaimed program that is changing the way that artists do business - presented by the Broward Cultural Division in alliance with The Community Partnership for Arts and Culture (CPAC), and ArtServe. The Artist as an Entrepreneur is an artist-focused course of study designed to assist artists (visual, musicians, writers, media, theater, performing arts) by cultivating and advancing their business skills. The program is presented on four (4) Saturdays in 2o14 during the month of June. AEI will be offered as 2o classes convening for full-day sessions, 9am-6pm on June 7, 14, 21 and a Business Clinic & Workshop on June 28 from 9am-2pm. The program is led by a premier faculty composed of leading business practitioners and artists familiar with arts and culture from the South Florida region. Faculty members instruct artists through a series of lectures, panels and discussions. AEI will be held at the renowned arts incubator ArtServe, located at 135o East Sunrise Boulevard in Fort Lauderdale, Florida 333o4. Please Join us at this exciting and valuable workshop, contact James Shermer, the Grants Administrator at (954)357-7502 or via jshermer@broward.org - mention Miami Art Scene™ to receive the member discounted rate.